Axiom Test Equipment has been in business since 2005. We are committed to providing high quality customer service and quality name brand products. We understand it’s important for our customers to have the right test and measurement equipment that can help you complete a job or project. Whether you are looking to buy new or used electronic test equipment, sell us your test equipment, or try our used electronic test equipment rentals, we can solve your needs with our wide range and variety of products in our inventory. We value our customer’s time and resources and therefore strive to provide our equipment at competitive pricing and deliver it quickly. Our product categories for amplifiers come in differing frequencies and wattage. We carry both RF and microwave amplifiers, analyzers for a variety of uses such as for Audio, Distortion & Sound; Dynamic & FFT; Modulation; Phase Noise & Noise Figure Analyzers. Our compliance test equipment includes –EMC, ESD, EMI and RFI. These are for performing emissions tests, immunity tests and safety tests. The product categories we have are Antennas, Automotive & ESD Simulators.  We carry component analyzers, LCR & semiconductor, which are used to test & measure the electrical characteristics of components and materials. The brands names we carry in these products include Keithley, Keysight/Agilent, Quadtech, Stanford Research, Tektronix and Wayne Kerr. We carry electrical test and power analyzers, AC and DC electronic loads, meters, network analyzers, oscilloscopes, power supplies, AC power sources, signal generators, spectrum analyzers and test and measuring equipment for telecommunication and wireless. Our customers are able to purchase new or used electronic test equipment, or try our used electronic test equipment rentals. We stand behind our products so we offer a 6-month warranty (90 Day for resellers) as well as a 5-day sale acceptance guarantee for our products that are for purchase (see Terms & Conditions). With our rental equipment, we offer short term or long-term rental programs depending on your needs. 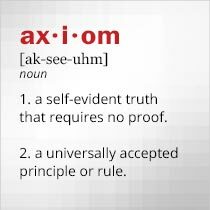 At Axiom our services are designed to help you meet your business needs in efficient and cost effective ways. Additional services we offer include test equipment repair and calibration. We will also buy your surplus equipment or accept trade-ins. Our commitment is to help our customers meet their test equipment needs whether they choose to buy used electronic test equipment or have a short term need and want to try our used electronic equipment rentals, you can be sure you will get what you need, quickly and at a great value.